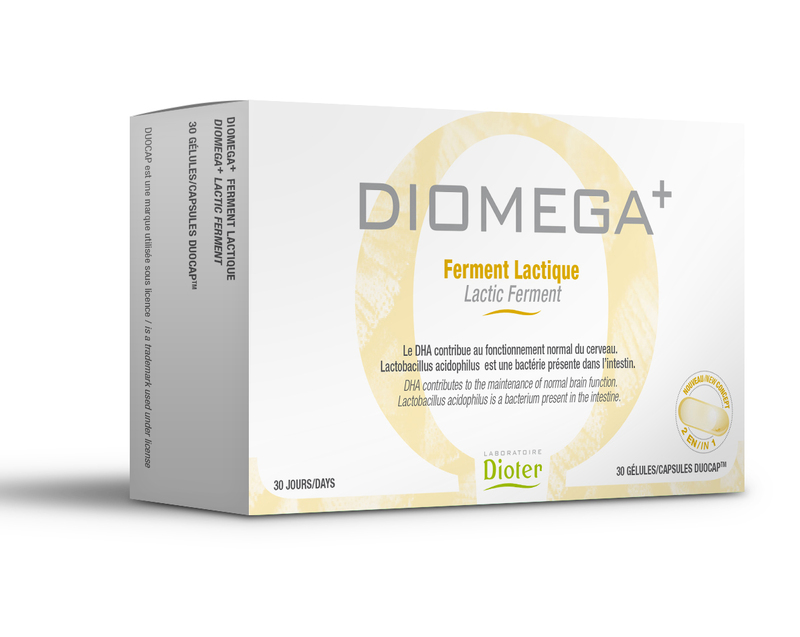 Dietary supplement based on DHA of marine origin (250mg 100% RI) associated with a complex composed of an intake of Lactobacillus acidophilus (lactic acid bacteria present in the intestine) and fructooligosaccharides (fiber). 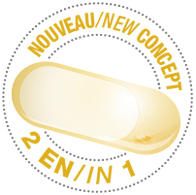 Packaging: Presented in box of 30 capsules in blister pack. Quantity for 1 capsule/DUOCAPTM: Fish oil : 432mg, Of which DHA : 250 mg, Lactobacillus acidophilus : 2 billion CFU*, Fructooligosaccharids : 10 mg.
DIOMEGA + is also a unique dosage form (DUOCAP TM) allowing in a single dose per day an intake of 250mg of DHA (effective dose) and the protection and controlled release of complementary vitamins or minerals interesting from a nutritional and / or physiological point of view but incompatible with one another.